Husky 12 ft. Ratchet Tie-Downs (4-pack) are ideal for securing heavy loads with a break strength of 1500 lbs. for effective use. The tie-downs are weather resistant and UV-protected for durability. Non-marring, vinyl-coated S-hooks stand up to rigorous extremes and won't tarnish your equipment. Use these adjustable fastening straps to secure heavy items on a truck, trailer or roof rack. Snap-Loc Dolly, Black It's not just a Dolly, it's a Tool! Our "4 Tools-in-One" design provides you the option of adding bars turning your Dolly into a Platform Truck, Panel Cart and an Inter-Connected multiple Dolly platform helping to move anything faster and safer. 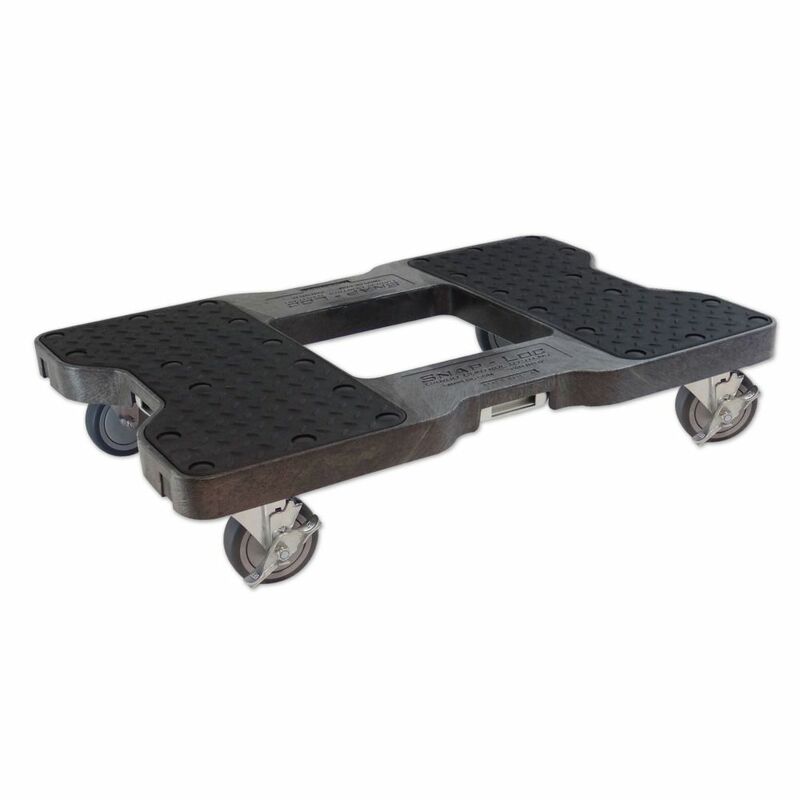 The Snap-Loc Dolly crushes all competitors dollies with its many unique features: 1,500 lb capacity with super heavy duty swivel casters allow you to move heavy loads with little effort. Caster brakes to firmly hold your load on hills. Patented 4 sided E-Strap attachment holds cargo firmly to Dolly frame adding safety and protection of cargo. Best of all, their Made in the USA! Snap-Loc Dolly, Black is rated 4.2 out of 5 by 6. Rated 4 out of 5 by Nic from I haven’t use it yet but it is very heavy... I haven’t use it yet but it is very heavy and seems sturdy. Rated 5 out of 5 by ludybee from have an old samsungTV on a stand with bass speaker, moving it was a headache and scratching up m... have an old samsungTV on a stand with bass speaker, moving it was a headache and scratching up my new hardwood floor. Those easy move things kept shifting. I and my brother put the stand and the TV on the cart and not it is a breeze to move around. It looks nice as well. Rated 5 out of 5 by RickyBobby from Very stable dolly. Wheels roll good with necessary traction. Very well made. Very sturdy and grea... Very stable dolly. Wheels roll good with necessary traction. Very well made. Very sturdy and great value. Rated 5 out of 5 by Sonia from Great item Sturdy, secured, quiet and easy to use dolly. No assembly required except installing wheels. Easy to store.